It’s out! 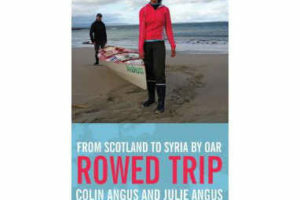 Exactly one year after completing our 7,200-km rowing journey from Scotland to Syria, our new book, Rowed Trip, is in stores across North America. This is the first book Julie and I have penned together, and I’ll tell you, the relationship-management skills we’ve learned living together in rowboats also come in handy in the book-writing process. For those of you interested in reading a sample from the book, check out the October issue of explore magazine and go online to read last weekend’s Globe & Mail or Air Canada’s enRoute magazine. Also if you have any questions about our journey, the book writing process, or life in a rowboat, ask us tomorrow during a discussion hosted by the Globe & Mail. It will be live at 10 am EST on Tues Oct 6th. Just go to globeandmail.com/travel/ to join the discussion. We feel lucky to have been able to intimately experience so many waterways of Europe. Some, such as the Rhine and Thames have gone through major rehabilitation processes, and the re-emergence of native fish species is excellent news. Other areas, such as the Black Sea, remain in poor condition, and the sight of millions of jellyfish (a species that thrives in collapsing systems) drove home just how much negative impact humans can have on the habitat around us. In Canada we are lucky to have great swaths of wilderness, but abundance does not grant invincibility. The crash of the sockeye salmon stocks in Canada’s west illustrates the vulnerability of our own waterways, and we have decided to donate all royalties for books sold in our upcoming tour to the Living Ocean Society, an organization dedicated to preserving aquatic habitat. 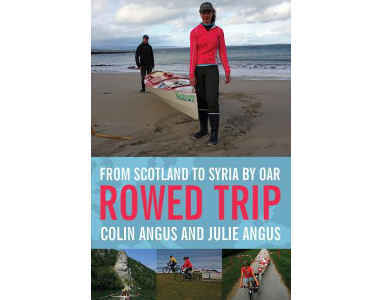 Our documentary, Rowed Trip, is finally completed and it will be screened on our 20-city Canadian tour – from the Comox Valley to Ottawa – over the next two months. If you’re interested in seeing our live presentation and film, check our schedule to see if we’re coming to your town. The tickets are available on our website, in retail outlets, and at the door. In our last tour most venues sold out, so get your tickets early to avoid disappointment. If you’d rather get a pair of free tickets and a DVD, that can be arranged too. We need two volunteers at most of our events, and if you’re interested we’d love to hear from you. Just send us an email at team@angusadventures.com. And finally, a big thanks to all of you for your support and encouragement. It’s been a lengthy process building our boats, planning the expedition, doing the journey, and finally writing the book and editing the film. Throughout the process we have received much encouragement and interest from you, and now we hope you enjoy the final product.